Linguaskill is the new, affordable test from Cambridge English. It provides a true picture of your candidates’ English language level – delivered quickly and conveniently at your own venues. 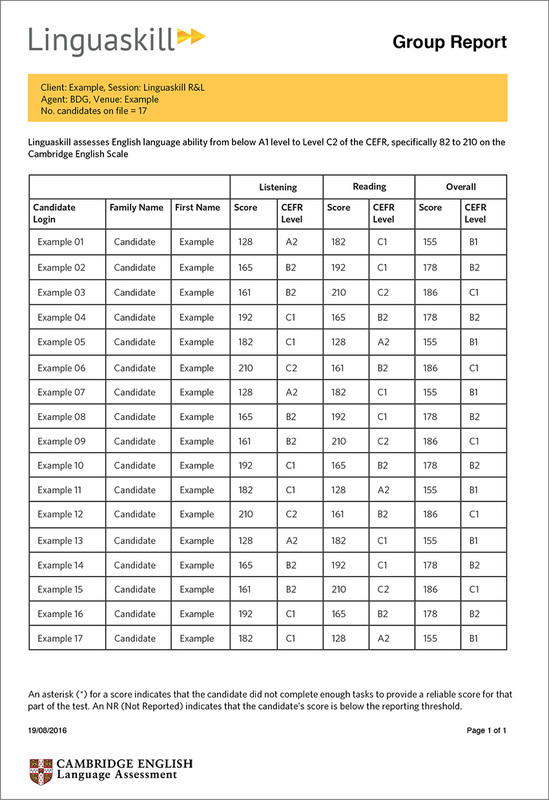 Linguaskill assesses candidates at any level of language ability, from below A1 to C2 level on the Common European Framework of Reference (CEFR), the internationally accepted standard for describing language ability. 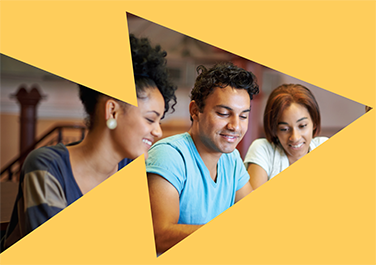 Graduation – Ensure that your students meet course exit requirements. Recruitment – Assess your job applicants quickly and fairly. Training – Use it to measure the outcomes of your English programmes. 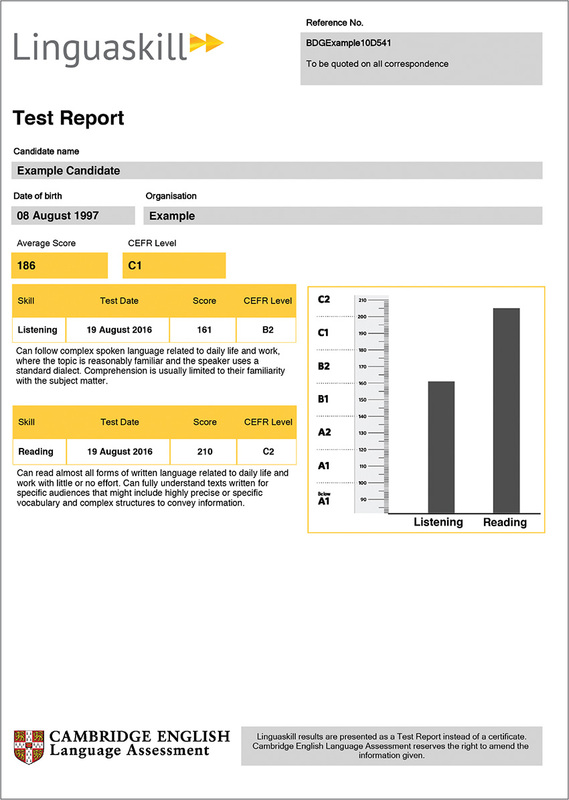 With full CEFR level descriptors and scores on the Cambridge English Scale, our reports can be printed out and given to candidates or clients. These give you a summary of each candidate’s overall levels. Compare performance for a selection of candidates or an entire intake or cohort. Identify your candidates’ English language ability quickly and accurately. Please provide your contact details below so we can help you get started with Linguaskill. Candidates read a notice, diagram, label, memo or letter containing a short text and choose the sentence or phrase that most closely matches the meaning of the text. There are three possible answers. Candidates read a sentence with a missing word (gap) and choose the correct word to fill the gap. There are four choices for each gap. Candidates choose the right word or phrase to fill the gaps in a text. There are four choices for each gap. Candidates read a short text in which there are some missing words (gaps) and write the missing word in each gap. Candidates read a longer text and answer a series of multiple-choice questions. The questions are in the same order as the information in the text. Candidates listen to a short audio recording and answer a multiple-choice question with three options. Candidates listen to a longer recording and answer a series of multiple-choice questions based on it. The questions are in the same order as the information they hear in the recording. Copyrights © 2016 & All Rights Reserved by Concepts iconnect Pvt. Ltd.